Slumber Cloud Nacreous Pillow Cover Review was recently completed by the MattressJunkie.com team. 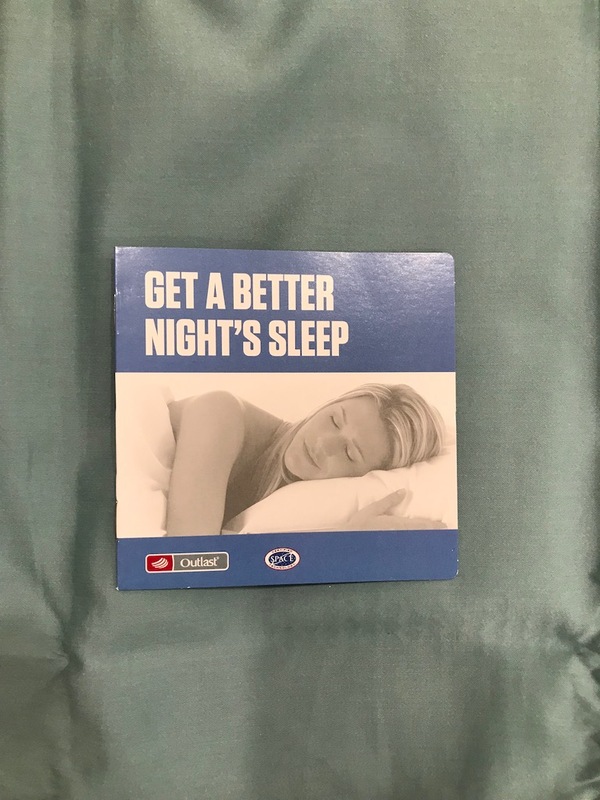 Slumber Cloud has an array of sleep accessories designed especially for those who sleep hot or suffer from night sweats. Slumber Cloud’s, Outlast technology was designed for Nasa astronauts and serves the purpose of reducing heat and moisture buildup. Slumber Cloud Nacreous Pillow Cover was engineered to keep your head cool and comfortable throughout the sleep experience. 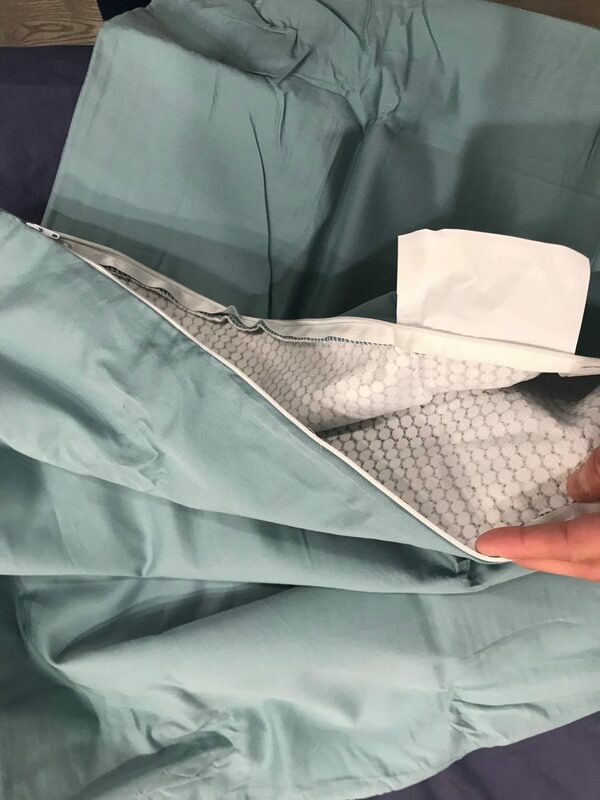 As someone who constantly flips over their pillow to sleep on the cooler side, Slumber Cloud Nacreous Pillow Cover allows the sleeper to always sleep on a cool side of the pillow thus resulting in less sleep disturbance due to heat build-up. Check out more details on the Slumber Cloud Nacreous Pillow Cover below. What makes the Slumber Cloud Nacreous Pillow Cover so much cooler than regular pillow cases? Slumber Cloud Nacreous Pillow Cover is lined on both sides with Outlast fabric and the outside cover is also made from Outlast fabric. Outlast technology is comprised of thousands of microscopic beads called Thermocules. These Thermacules absorb, store, or disperse heat based on your ideal sleeping temperature. Slumber Cloud Nacreous Pillow Cover eliminates flipping your pillow over to reach the cooler side due to the regulation of temperature. The Slumber Cloud Nacreous Pillow Cover has a 300 thread count and is 40% Outlast viscose and 60% cotton. The cover is hypoallergenic, zippered, and machine washable. What pillow should I use under my Slumber Cloud Nacreous Pillow Cover? We recommend using your favorite pillow. The Slumber Cloud Nacreous Pillow Cover will fit over your pillow or under a pillow case. 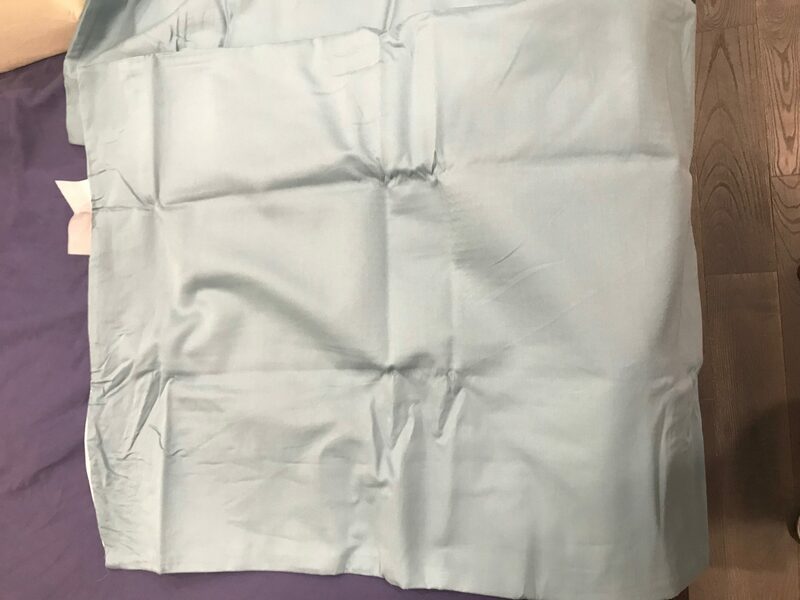 We slept directly on the Slumber Cloud Nacreous Pillow Cover for our review. How much does the Slumber Cloud Nacreous Pillow Cover cost? Slumber Cloud Nacreous Pillow Cover costs $65.99 for standard size, $70.99 for queen size, and $84.99 for king size. What colors options does the Slumber Cloud Nacreous Pillow Cover come in? The Slumber Cloud Nacreous Pillow Cover comes in white, blue, mauve, and dew drop (queen and king only). 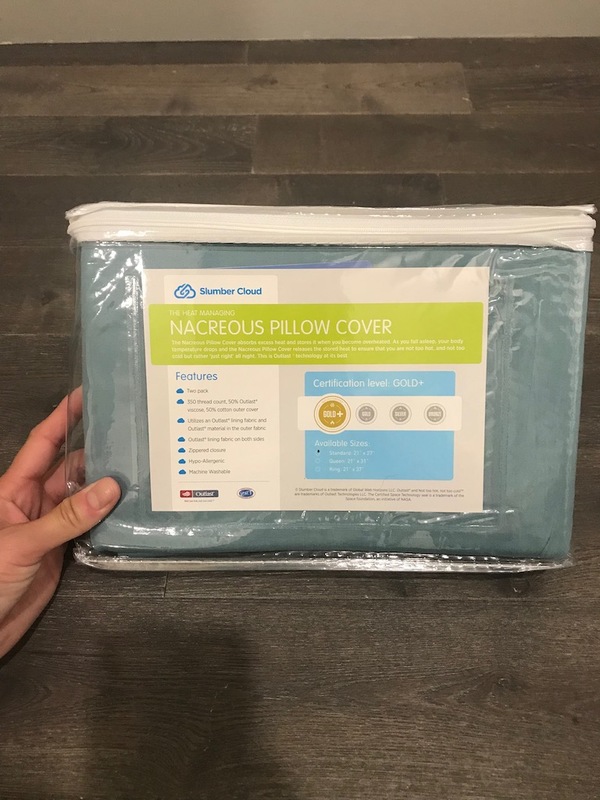 Does the Slumber Cloud Nacreous Pillow Cover have a sleep trial or warranty? Slumber Cloud offers a 30-day satisfaction guarantee and a 60-day warranty on their Nacreous Pillow Cover. Would we recommend the Slumber Cloud Nacreous Pillow Cover? The Slumber Cloud Nacreous Pillow Cover would be a great option for those who sleep hot or suffer from night sweats. The surface of the pillow stays cool and comfortable all night long with the Nacreous Pillow Cover. The zipper keeps the pillow intact which is an annoyance with certain pillows and pillowcases. Waking up to flip the pillow over is disruptive. The Slumber Cloud Nacreous Pillow Cover eliminates sleep disturbance and keeps your pillow surface cool throughout the night. 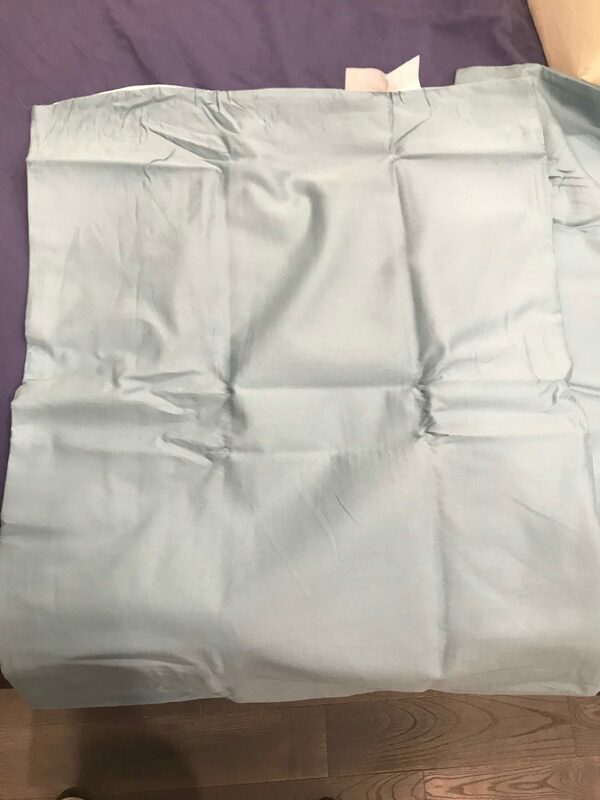 If you are a hot sleeper, Slumber Cloud Nacreous Pillow Cover would be a great option for you and would solve the hot pillow issues that so many people suffer from. Learn more about the Slumber Cloud Nacreous Pillow Cover here…..